Steinlager clone beer is the best beer in the world. It's a fact. Therefore, there is no point arguing with me. If you wish to raise an issue, go see Austin Power 's daddy, he's got you a clean tissue. All good Kiwi lads are raised on Steinlager, in fact it's a legal requirement that all boys who show signs of leadership potential are given the liquid ambrosia in their school lunches from the age of 7 onwards and are taught how to home brew nice and hoppy beers. In my case, such were my leadership qualities, I was given nothing but Steinlager for lunch from the age of 4 years and 3 months. This explains a lot clearly. Such is the rich culture of New Zealand that we produced Chris Butcher. He single handedly wrote some of the code of a small game I refer to as Halo: Combat Evolved while hungover after drinking a boat load of Steinlager. I understand he woke up in a field somewhere with dribble on his collar and a new design for the flux capacitor. Indeed, check out my interview with Chris that I managed to score last week. He's very good at bottling beer and brewing with lupulin powder. What I am slurring on about Steinlager? Well, it's a fact that Chris influenced the Bungie Studio so much that when they made Halo 3, they drank nothing but Steinlager and doughnuts and paracetamol. Again, this is fact, do not even attempt to haggle on the point, dear readers. So what does this mean for my sober readers? Is this an hereto undiscovered ODST Easter Egg? 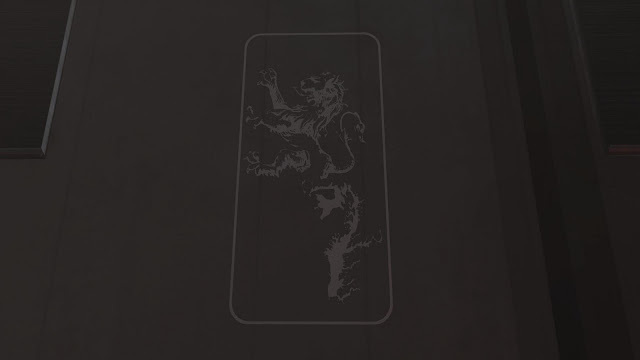 An Easter egg in a Halo game that refers to little old New Zealand's finest beer? What does this mean for my drunk readers? It means this has all been a huge fantasy. Just like that time you scored Elle MacPherson's sister. Ahem, I seem to have woken up from this post with a terribly parched throat and a hangover the size of the Death Star. Would you be a dear and get me some paracetamol?